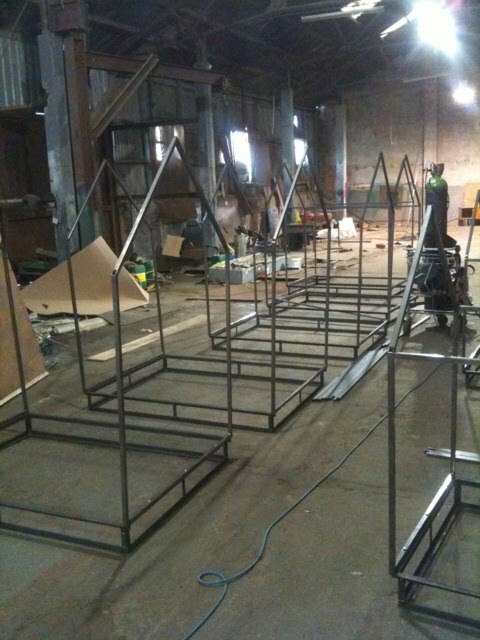 Ger and his brother Andrew have finished welding the aluminium frames for the remaining ten houses. I'm excited to see the size of the frame for the red house for the first time, it's pretty big. Robert Horne have delivered the cut out perspex panels already so the warehouse is beginning to fill up with materials.